Tokai Forum - a subsidiary of TokaiRegistry.com :: View topic - Burny SG from the 80's what is it and what are the pickups? Burny SG from the 80's what is it and what are the pickups? 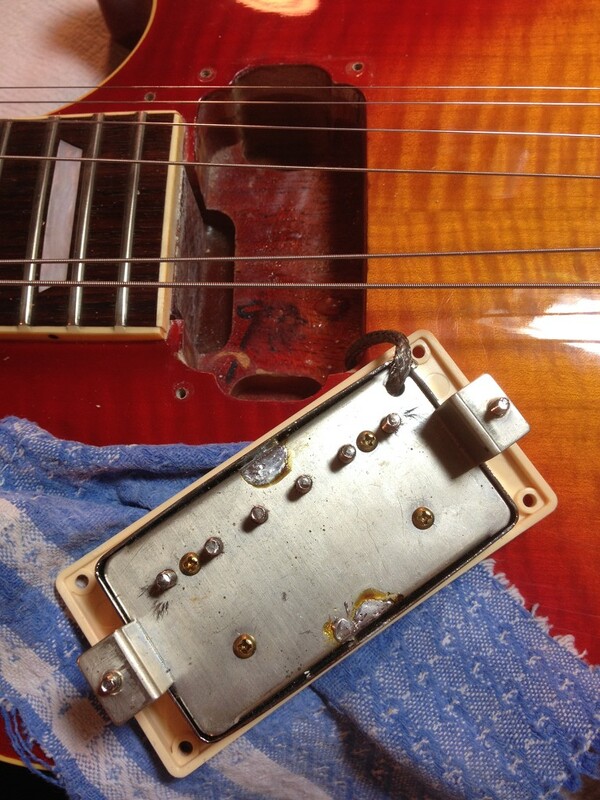 Posted: Wed Jun 06, 2018 7:39 pm Post subject: Burny SG from the 80's what is it and what are the pickups? I got this Burny today. I got if for almost nothing and it plays really good. Much better than my 90s Gibson Standard I had a few years ago. Anyways, The bridge pot does not work and I know this what I purchased the guitar. Probably why I got it so cheep. I was planning on installing p90s in the guitar and re-doing all the pots. Currently the bride volume does not work (actually it works but at10% power pot just spins around forever). I assume the bridge PU works it is just a bad pot. The neck PU sounds much better than I expected. Now I think I am just going to re do the pots and try the PUs out for a few months. If they sound good I will just keep them in it. I assume this is a mid 80's SG maybe late 80's early 90's. No SN on the back of the head or anywhere in the body. The PU are chrome covers and chrome screws (the 6 ones in each PU). But the backs of them are gold. Weird, I have no idea about this one. Here are some pics.. The guitar is a poly finish the body is two piece split around the control cavity's. The neck has the wings on it from another piece of wood at the headstock. If you know what I mean. Here are some pics. I can take some more tomorrow. Anyone know what is up with the pickup routing? Is this a Fujigen made SG? I know they made Burnys in the mid 80-early 90. I heard they did more bolt on neck guitars during that time (Fenders) and did not do many set neck guitars. So, I really do not know just a guess. I came to the conclusion they are L8000's. The PUs in my SG measure right over 8k. I really think they are L8000's because of all that. I also believe the guitar is from 85-91 or so from the trust rod cover and no SN. 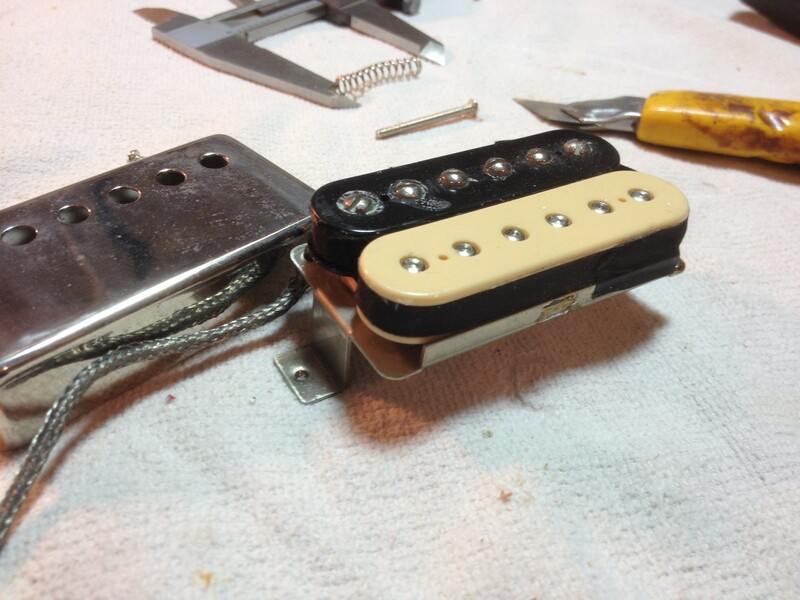 L8001 pickups were only used very early on. They weren’t around in the mid 80s and early 90s Burny Guitars. More likely a VH4 or a 2nd version VH1, which are different from the original VH1. I’ve had a couple Burnys with the brass bottom plate and grey wire. Nothing to write home about. Yeah, either way they are not VH1's. I ordered some Fralin PAFs for the SG. I changed my mind about the p90's. I will get another SG at some point and put P90s in that one. Maybe a Bacchus SG classic. But no hurry on that one. I have some of those in one of my 1981 LS-80's and they sound great. Probably my favorite PAF's I have found yet. For reference here's my early '80s RLG90 lacquer finish with original VH1's - Nickel backplate with 4 brass screws, braided wire, zebra bobbin's. I assume this is a mid 80's SG maybe late 80's early 90's. Not older than 89, when the change to the winged bell and the split crown came about. Looking at the pickups and knowing they went from VH-3 to VH-1 in 1990, this should be a 1989 build with VH-3s (brass bottom). 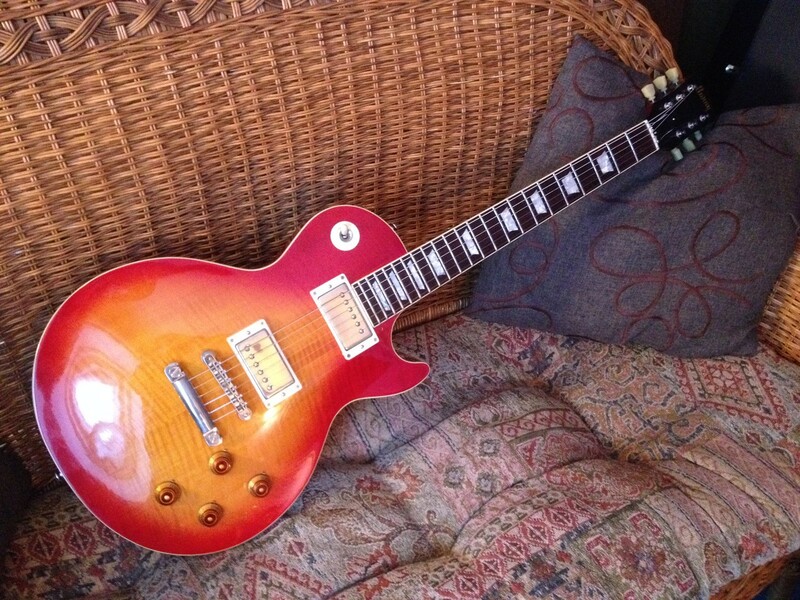 Fujigen at best did a few Les Paul models 1991-92 before they started making Orvilles. Employees deny them making anything for Fernandes, actually. As for who made this - tricky question as they apparently were made by at least two companies at the same time. We see two ways of routing them simultaneously. The pickup route is an economic way of making bodies for both the '69 and the Custom at the same time. What does the control route look like on this one, large cavity? Could you post a pic of the pots, even though some of them may not be original now?